He also said that China will remain firmly committed to the pledges to tackle climate change, actively push for the Belt and Road Initiative and always be a builder of world peace, contributor of global development and keeper of international order. Beijing: China will have a "say" on all major international issues and actively push its Belt and Road Initiative (BRI), Chinese President Xi Jinping said in his New Year message today. Mr Xi said China will resolutely uphold the authority and status of the UN, actively fulfill China's international obligations and duties. He also said that China will remain firmly committed to the pledges to tackle climate change, actively push for the BRI and always be a builder of world peace, contributor of global development and keeper of international order. 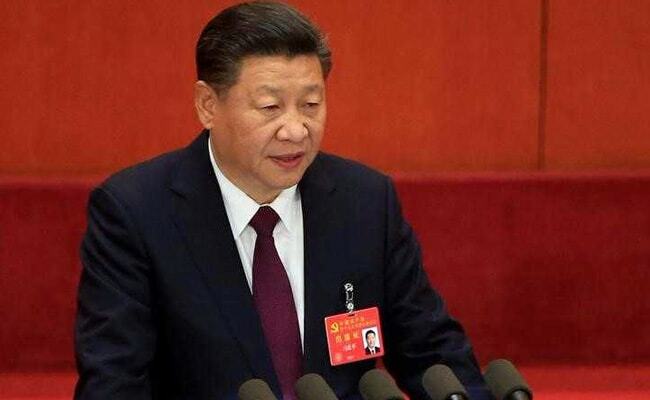 "As a responsible major country, China has something to say," Mr Xi said in his first New Year address of his second-five year term, telecast live all over the country. The BRI through which China seeks to build its influence in the world through a host road, rail and port connectivity projects also incorporates China Pakistan Economic Corridor (CPEC). India has objected to the CPEC as it traverses through Pakistan occupied Kashmir. China defends it saying that it is a connectivity project and it will not impact its stand on the Kashmir issue. Mr Xi said the Chinese people are ready to chart out a more prosperous, peaceful future for humanity, with people from other countries. On domestic front, Mr Xi, in a surprise admission, said there were areas where the government's work fell short of expectations. Though progress has been made, he said, issues of public concern remain, state-run Xinhua news agency reported. "That is why we should strengthen our sense of responsibility and do a good job of ensuring the people's well-being," Mr Xi said. "The well-being of our people is the Party and the government's greatest political achievement. Our cadres should put the people's state of living at the heart, and help them live a better life," he said. He vowed to eradicate poverty. China claims it has eradicated poverty among over 650 million people in the last three decades. By 2020, all rural residents living below the current poverty line would be lifted out of poverty, he said, adding that it will be the first time in China's history that extreme poverty will be completely eliminated. "It is our solemn promise. Only three years are left to 2020. Every one of us must be called to action, do our best, take targeted measures to secure victories one after another. This is a great cause, important to both the Chinese nation and humanity. Let's do it together and make it happen," he said. He also said China would resolutely carry out reform in 2018. "We will take the opportunity of celebrating the 40th anniversary of the reform and opening-up in 2018 to further carry out reforms, as reforms and opening-up is the path we must take to make progress in contemporary China and to realise the Chinese dream," Mr Xi said. China's great achievement of development was made by the people and for the people, and that among the people's most pressing concerns were education, employment, income, social security, health care, elderly care, housing and environmental protection, he said. He extended New Year greetings to all Chinese and best wishes to friends all over the world.